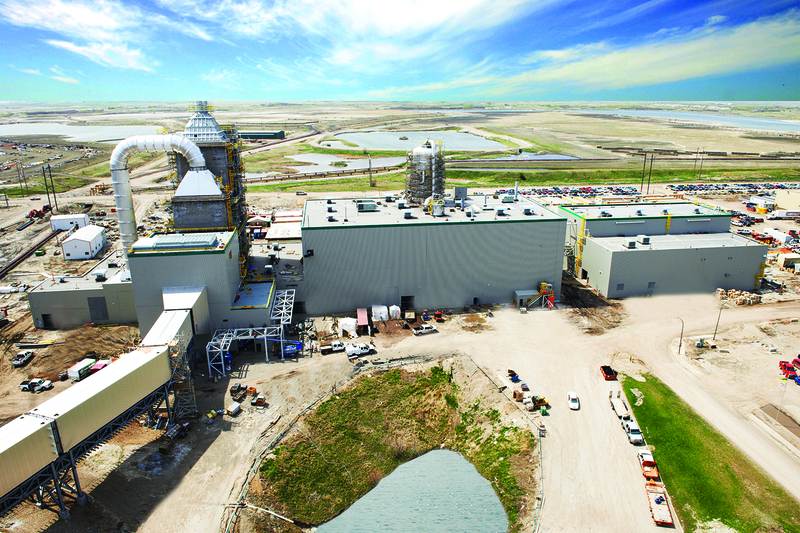 SaskPower’s Boundary Dam 3 CCS Facility (BD3) is the world’s first carbon capture facility and remains the only facility that is fully-integrated with a coal-fired power plant – a ground breaking effort for large-scale capture. Renowned for its full-chain approach, it has a coal plant, a capture facility, transportation infrastructure (pipelines), enhanced oil recovery (EOR), and pure storage capabilities. Motivated to see sizeable impact on carbon dioxide (CO2) reductions to support global climate change goals, the International CCS Knowledge Centre (Knowledge Centre) was established - as a non-profit by BHP and SaskPower - to share the learnings garnered from BD3 to advance the deployment of large-scale carbon capture and storage (CCS) so that it can be effectively and efficiently utilized around the globe. The CCS story at BD3 is one of an evolution towards improvement, both in construction and operation. In the spring of 2018, the facility celebrated a milestone of two-million tonnes of CO2 captured. As well, in early 2018 it had a successful operating run at 99% reliability for a period of four months. The facility began operation in the fall of 2014 and in the early days, the focus was addressing design deficiencies and construction quality issues, resulting in learnings - with the best of those lessons stemming from unforeseen events surfacing in operation and working to address them. Hands-on experience has provided a wealth of knowledge in what works as well as what doesn’t work. The practical learnings from hands on experience that the Knowledge Centre has, to share from the four years of operation at BD3, will save future CCS plants time, money and significantly reduce risks - by preventing and/or eliminating unnecessary detours, delays, and miscalculations from the onset. The focus now for BD3 is on achieving stable operation that will allow staff to focus on improving efficiency and cost effectiveness of the operation. Many developing countries have a growing middle class and demand energy security. It is important for regions to maintain value in existing generating assets, a diverse fuel mix or securing a low-cost sourced fuel, such as coal, all while they also strive to lower greenhouse gas (GHG) emissions. First movers like the BD3 project have proven the technology and are demonstrating the path for cost reduction. This ensures that coal production around the world is a sustainable, reliable and a cleaner source of energy. CCS is applicable beyond the energy sectors and can be applied to industrial sources of emissions, which have limited abatement options such as iron, steel and concrete. Recent years, analysts and governments have recognized that some of the world’s most carbon-intensive industries may have no alternatives to CCS for deep emissions reduction. For example, during the production of cement, which produces 5% of the world's CO2, two-thirds of the emissions are from processing due to the extreme heat required to produce it. Flue gas from a cement plant can be very similar to the flue gas stream from a coal-fired power plant. As a result it is relatively easy to adapt the expertise acquired at BD3 to help de-risk the cement industry. Bringing together over 20 years of combined CCS experience from BD3 the team of experts at the Knowledge Centre spearheaded a feasibility study to retrofit SaskPower’s Shand Power Station, a 300 – MW, single unit, coal-fired power plant that has double the capacity of BD3 with a large-scale, CCS facility. Our studies show that next generation CCS technology will be significantly cheaper, more efficient and integrate well with renewable energy. The cost of CCS will continue to decline as more plants are built. Read the Shand CCS Feasibility Study and/or the compendium document, a Summary for Decision Makers. Read our Abstracts submitted in advance of GHGT14 based on the Shand CCS Feasibility Study..
Read our Papers presented at GHGT14 based on the Shand CCS Feasibility Study.